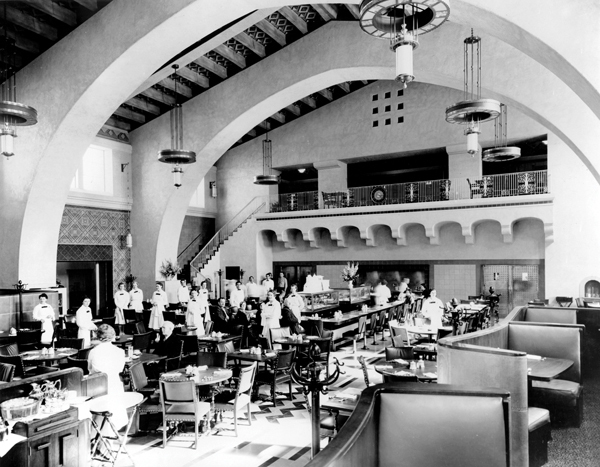 The Fred Harvey restaurant in 1939 with its staff of Harvey Girls. Courtesy of the Los Angeles Railroad Heritage Foundation Collection. Photo by the Santa Fe Railway. I wonder if Black people could eat in here?